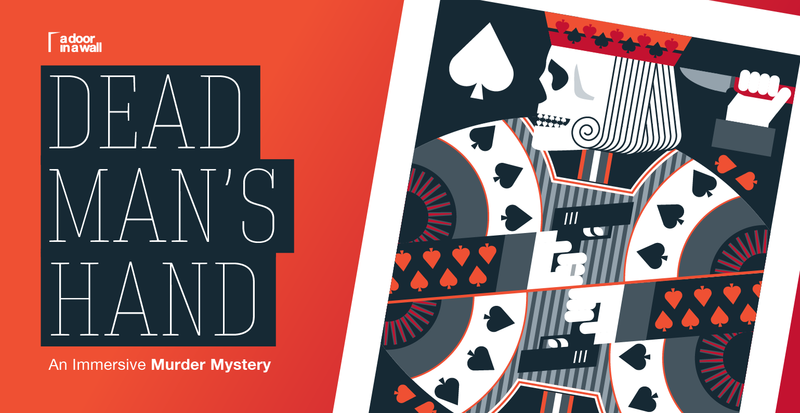 Dead Man's Hand is an adventure game crossed with a piece of immersive theatre that plays out over 3 hours in Farringdon on Saturday afternoons. Created by the highly respected A Door In The Wall, you and your team of 3-6 need to solve a murder by interviewing witnesses and looking for clues in the streets around The Castle pub in Farringdon. Collect evidence and decide who you think is guilty, then wait to see if you are right. Sounds like lots of fun; am doing this with some friends in a couple of weeks. "Jack Spade thought he had been dealt the right cards, but reckless gambling seems to have cost him his life. All those who sat around the poker table that night have something to hide, but can your party work out which card sharp was responsible for his murder? If you’re ready to go all-in, then the nearby streets hold the clues and characters, but you’ll need all your cunning, and maybe a favour or two from Lady Luck, to catch the killer. The Castle Farringdon will play host to illicit gambling den The Underhand Club, the starting point for a high-stakes tale of double-dealing poker players and bets gone bad. Players must work in teams to collect clues, meet characters and gather evidence in the great outdoors to get what they need to solve the case and save the club. The game combines the best elements of immersive theatre, escape rooms, treasure hunts, storytelling and comedy, to create a unique immersive experience packed with mystery and puns. 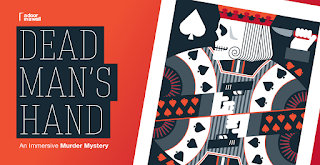 Become the main character in this real-world adventure as you solve the case of the Dead Man's Hand."